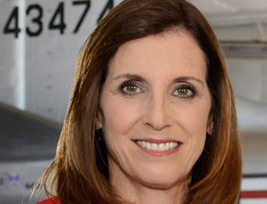 A member of Tucson Republican Women of Arizona, Martha McSally credits Federated clubs with helping her win her congressional seat, explaining that local Arizona clubs were keys to her victory. “I won my first race by just 167 votes,” she says. “These clubs are why I’m in Congress today.” McSally is grateful for the continued support she receives and tremendous, positive experiences she’s had with Federated clubs. This list does not include every NFRW member elected or appointed to office at the national, state and local level. If we have inadvertently left a name off this list, please let us know by sending a message to web@nfrw.org.